In the late 1990s, Mike Hollern of Brooks Resources and Mike Tennant of Tennant Developments separately approached property owner Bill Miller about purchasing and developing the 486 acres on the west side of Bend owned by the Miller family. Mr. Miller highly respected both men and instead of selecting one, he suggested that the two Mikes partner and develop the land together. They agreed and West Bend Property Company (WBPC) was born. This serendipitous partnership between the two companies highlighted a common vision: a neo-traditional mixed-use community that offered a variety of housing types and a diverse mix of commercial, light industrial, parks, trails and civic buildings such as schools and churches. The challenge? This had never been done before in Bend, Oregon. Over the next several years WBPC and its contracted land planners, worked with the city to develop a brand new city code, the Mixed-Use Overlay Zone, which was applied to the property. A master plan was developed, as well as fairly strict CC&Rs and Design Guidelines. When it came to building homes, WBPC could have easily taken the traditional approach of selling large pods of lots to a few different production home builders. Model homes and a set of floorplans to choose from was all the rage at the time. But a diverse streetscape, similar to those of older adjacent neighborhoods, was the vision. So, the developers decided to sell individual lots to a larger pool of qualified builders, in essence, building individual custom homes. WBPC invited a select number of builders to become members of the NorthWest Crossing Builders’ Guild. Members participate in a lottery process to select and purchase lots at a discounted price. The first lottery was held in 2001 with construction commencing in early 2002. Simultaneously, the first commercial buildings in the neighborhood center started going vertical, with an onsite sales center opening in June 2002. In 2007, WBPC made a strategic shift in its marketing to invest less in traditional advertising and instead develop and host events and amenities to bring people to experience the neighborhood first-hand. Out of this marketing strategy, a few street festivals, a farmers market, community garden and movies in the park were born. People came. People saw. People bought. NorthWest Crossing was on the map. Even through the Great Recession, NorthWest Crossing saw a surprising amount of activity. 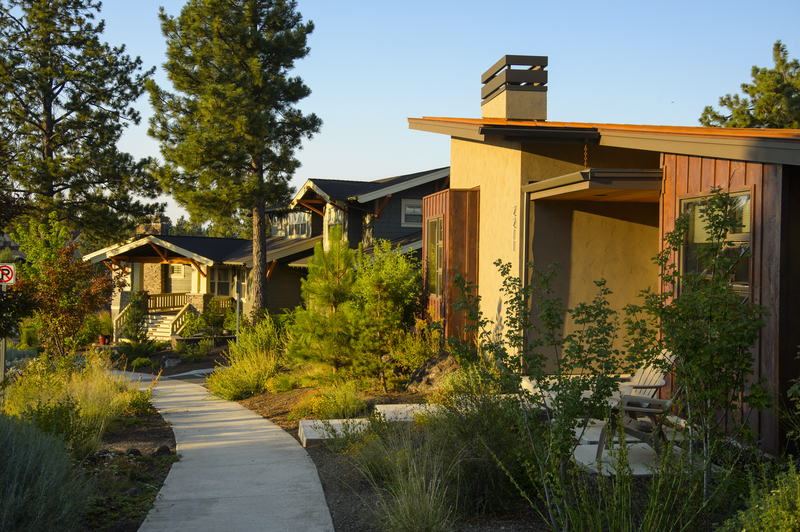 Though prices declined and building slowed, people still came to live in NorthWest Crossing, despite the tough economic conditions in Central Oregon. Throughout this time, the demographics of buyers shifted from primarily young families, to older empty nesters and retirees who had the cash to buy during tight lending periods. 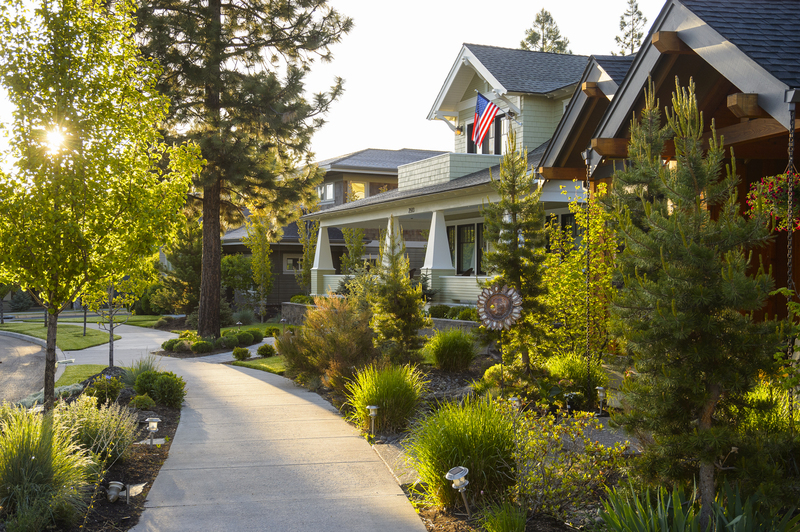 These cash buyers mostly relocated from out of the area, seeing Bend as a dream locale and a bargain, and wanting to live in a community that had amenities, character and westside location they were looking for. Currently, about 1,000 homes have been built of roughly 1,300 planned. NorthWest Crossing has been recognized with many awards, press and kudos from industry experts, who see NorthWest Crossing as a successful model for development. But perhaps the most compelling evidence of its success is reflected in sales prices. 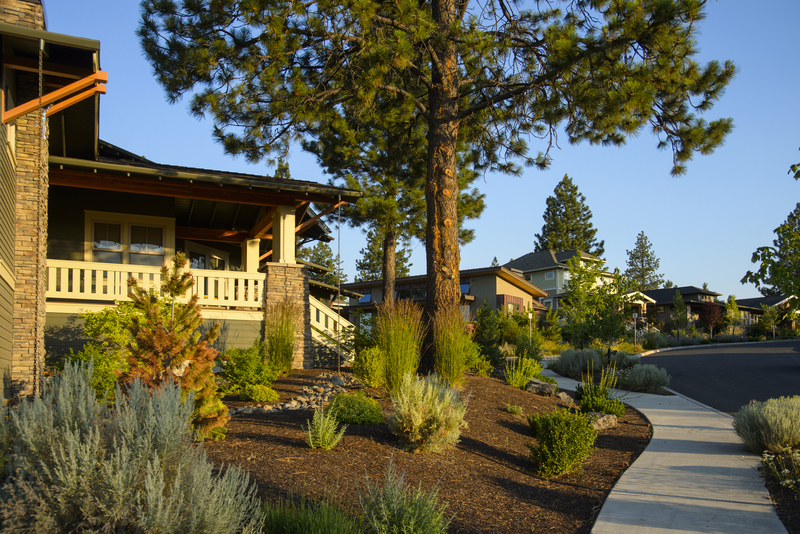 By early 2016, the neighborhood continued to garner a full 50% (or $200,000) price premium compared to other homes in Bend. An unfortunate side effect of its success is the neighborhood’s lack of affordable housing and options for a variety of demographics as WBPC originally intended. With one senior affordable housing lodge located in NorthWest Crossing (with a long waiting list), and another workforce apartment complex in the planning stages, WBPC is trying to address the growing need. WPBC has worked with Housing Works and local partners to have 7 homes built in a land trust model, and with special financing, allows the home to be affordable for income qualifying families. When it comes to success, it’s pretty simple: Have a vision. Be innovative and collaborative. Have high standards. And show people your idea. This was the recipe for success for NorthWest Crossing. Visit the NorthWest Crossing Website for current Design Guidelines, CC&Rs and other documents.